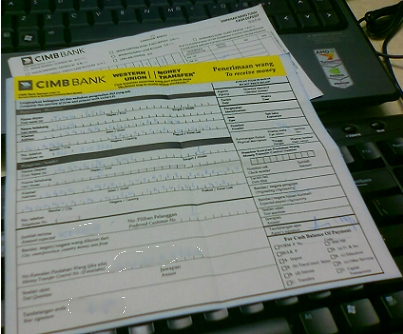 For Malaysian only: As far as I know, there's only one bank in Malaysia where we can collect our Western Union payment, the CIMB Bank. After I switch to Western Union cash as my Google AdSense payment method about 2 months ago, I finally got to collect my first payment. The collection process was really easy. It only takes 10 minutes. It would have taken more than a month if you were to wait for Google to deliver the cheque to you, and to wait for the cheque to clear. What information do you need to fill? You could get most of the information from payment history page in Google AdSense, except for your own details. One problem with this payment method. There is no notification from Google when they issued the payment. That means, you will have to check the payment details from time to time to find out. I believe many of you have enjoyed this facility. What do you think? I didn't know I had an online computer software store until now, after I put in some time to check latest features from Chitika. The concept of the advertising scheme is very innovative, although I don't think I'll benefit much from the program. I also added a ShopCloud to my sidebar. If you are interesting in any kind of computer software, do have a look! What do you think about the new advertising concepts? If you have been using it for a long time, how's the response? 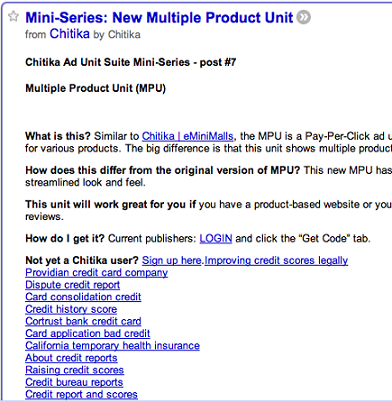 Is the Chitika blog gets hacked or is it Google Reader?